It is not wise to wash out the Jeans ever! The process which is used to transform the outlook appearance, warmness & fashion appeal of the garments is called garment washing. 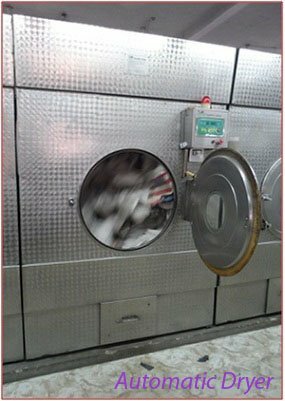 Garment pre- wash became popular especially since 1978 when jeans garments started pre- washing and got instant popularity. It gave different a look to the clothes. Garments washing are mainly done after stitching. Wash types usually depend on the product natures and usages. Based on consumer demand and fashion trend, buyer will fix the washing type of any product. For example, stone enzyme wash is required for denim item, but light softener wash is perfect for knitted item. (1) Usually, some Garment shows up hard, feeling rough, stiff and not responsive enough for wearing if not pre- washed. (2) Garment is often made bigger and larger. Pre- wash returns those to the right size and dimensional instability. (3) After pre- wash garment becomes fit as they get rid of shrinkage; as a result, the garment becomes soft hand feels and become size free. 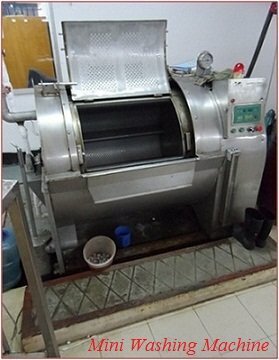 (4) After wash some garment’s become more attractive, lucrative and lively, such as jeans, twill, cotton, gabardine etc. (5) Different washing methods are being used to make an additional appeal for customers/Buyers. (6) During manufacturing dirt, spot or oil mark may add with the garment’s what may eliminate by washing process. (7) To eliminate starch and chemicals what used during fabric manufacturing and dyeing process. Normal wash consists of washing garments in hot water with adequate detergent and softener, rinse with plain water and dry in tumble dryer until it is 100% dry. Some sodium is added to lend the garment a prominent washed look. 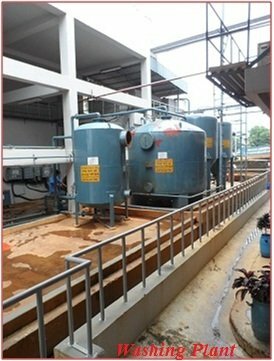 Water temperature, proportion of components of wash is adjusted as per requirement of wash and types of fabric; the garment is made of. The softener makes the fiber soft and tumble-drying makes the fabric fluffier. An expert technician can handle washing by an expedient way to solve many problems arising out during washing. Washing can also affect different garment parts differently. Shell fabric may be solid color while pocket may be white pocketing piece. After washing, it may appear that pocketing piece has been stained. (1) Have 40 degree C hot water in a tumble washer. (2) Put 1% color fixing agent and mix with hot water. (3) Put the dry garment into the tumble washer and let them soak in the solution for 5 minutes and then lift them up for drying. (4) Run the tumble washer a few times and stop. (5) Do not run the washer too much; it may lead the dye to come off and stain. (6) Just let the garments soak and absorb the chemicals. Move the garments inside the washer as gently as possible; when the garments are dried, the color quality substantially improves. After treating the garments in the mentioned way, they can simply be imposed to normal wash to give it the washed look. Pigment Wash is similar to normal wash but a bit costlier. The garment is solid color pigment dye. The requirement is that the color should fade evenly to lend the garment a prominent washed look. Pigment wash requires a higher temperature of water than a normal wash.
(1) Use hot water 50-60 degree C.
(2) Load the tumble washer not more than 70 % of its capacity. It enables garment to move inside smoothly. If fully loaded with garments due to the friction of the garments with tumble body. Bleach wash means that bleach chemical is used in water while washing in a tumble washer. Strict washing time is a requirement with such wash because otherwise the garment may be over bleached and the color cannot be reversed. Stone wash means washing garments with special stones so that garments achieve a very strong washed effect. Volcanic stones are used in such wash abrade exposed parts of the garments, this idea of washing with porous volcanic stones is to give the garment a strong and rough wash to achieve the pronounced washed effect through abrasion on the exposed areas, such as the seams and pocket corners. (1) Size of the stones: Stone size is very important in stone wash. They have various effects on the garment being washed. Large stones may give tough abrasion, and small stones may lead less abrasion. Stone should be selected based on the required abrasion effect as well as the type of fabric of the garments. However, larger stones may damage comparatively light-weight fabric. Small stones may give softer abrasion. (2) Garment-Stone ratio: (Weight of stones relative to the weight of garment) Wash with more stones may lead to more apparent blue/white contrast on the fabric. 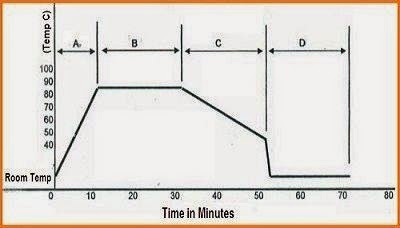 (3) Washing time: Washing time also much important in stone wash.
(4) Quantity of Bleach: Use of more bleach can shorten wash time and leads to more productivity. Bleach, however, cannot be used indiscriminately. Disproportionate amount of bleach may lead to lose of the desired blue/white contrast on the fabric. In order to achieve a better result, one should cut a balance between quantity of bleach, stone size and amount of stone. Sometimes one needs to use the normal quantity of stone and longer washing time to achieve the color standard requirements. It is a patented process and can be used only by permission. It is also a kind of stone wash. The wash is performed in two steps: in the first step, garment is washed without water and in the 2nd step with water. (1) Soak volcanic stones in potassium permanganate solution. Stones absorb chemicals and become saturated. The stones are then dried in normal air or sun. The stones are ready for work. (2) Denim garments are now made ready for wash. They are desized/detached in water in a tumble washer and dried in a spin dryer. (3) The garments are put in a separate tumble washer filled with treated stones. Water is not added. Now run the tumble dryer wash the garments without water. 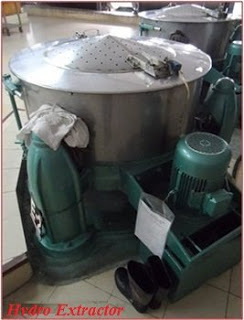 Tumble washer is run to wash the garments without water. Stone will abrade the garments, especially, the exposed parts. Hidden parts will not be abraded. (4) After that, the garments are taken out of the tumble and transferred to another tumbler filled with water for washing and rinsing. 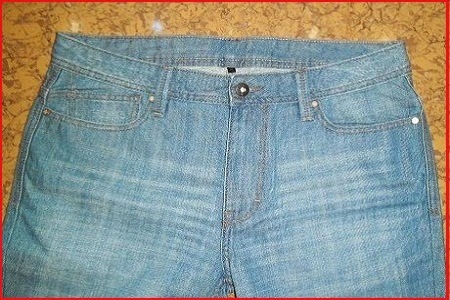 After rinsing is over, the prominent acid wash effect will show up. The treated stones carry the chemical to bleach the exposed parts and bleach them to white. But the hidden parts remain untouched. Whitening agents are often added to water during rinse to make the white color in the blue jeans whiter to display acid wash. Enzyme wash is performed with a kind of live cell. Enzyme can break some fibers of fabric and gives the fabric special effect desired on the garment. Enzyme wash provides the fabric a soft, sanded or “peached” effect very desirable on many garments. Enzyme wash is also useful for indigo denim. In this case, enzyme can replace stone but gives denim a stone wash look, with better and nicer blue and white contrast on the fabric. 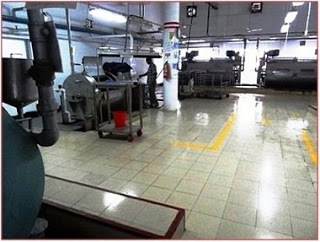 Enzyme wash is, however, costlier than stone wash.
Caustic wash is a pre- printing wash. Caustic is a strong chemical with highly corrosive features. Prior to printing on cotton fabrics, gray goods are treated in boiling water with caustic, which also has strong cleaning power, especially for grease. 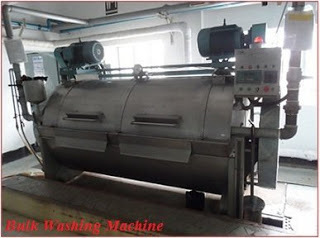 This wash can remove all soil, dirt, grease, fine particles of cotton seeds as well as all foreign materials. As a result, only pure cotton fiber in the fabric for printing is left. It leads to stability of printing and well-cleaned fabric. However, when we want to do caustic wash on garments, we just do the opposite of the above; prior to printing, fabric is not treated with caustic wash for cleaning. The color will stay on the fabric more or less securely to coincide with the caustic wash to be done later. (8.1) Wash the denim garments with stone so that the double needle seams, pocket flaps, and exposed parts get washed down to light blue color or white. (8.2) Put into dye the tumble to dye the garments to get the desired color. (8.3) A coat of new color will appear on to the garment, especially, in areas where the garment has been washed to a light shade. It creates a unique but different look. In this process of wash, the lining or pocketing will pick up the color too. By this wash, direct dye or reactive dye same as dyeing fabrics or yarn may be used. Direct dye is cheap. So, direct dye may be utilized with the concomitant use of color fixing agent, after dying to make the color more stable. In case of solid color fabric staining within the garment is not a problem. However, if garments of different colors are washed together by the consumers, color may transfer to other garments. Reactive dye is always preferable in this case. Whitening agents are used to create a super white look. (Unless the garments you wash is all colored namely no white color at all in the fabric, you should use whitening powder in the rinsing process to make the white part more white) In denim where there are colored warp threads and white weft threads. If such garments undergo “stone wash and bleach” whitening powder is used for the final rinsing. It makes the white threads in the fabric whiter and generates a stronger contrast between blue and white on the surface of the fabric. After washing, denim checks the reverse side of the fabric to evaluate if adequate whitening agent has been used during rinsing. It is a common practice that garments having white parts should be washed with whitening powder at the time of rinse. It generates a quick and desired look. If you become satisfied by reading this post; you can show your regards by spreading it in social media such as Facebook, Twitter or Google+, share it in stumble-upon by hitting like button. Stay tuned with us for more updates.